Ontario’s far-right fringe is hearing Doug Ford’s dog whistles loud and clear. Earlier this month, the leader of the Ontario PCs generated significant controversy when he brought up the issue of immigration on the campaign trail, suggesting Ontario should “take care of our own” before worrying about immigrants. On a Google Hangout recently streamed by figures on the far-right linked to several Canadian hate groups, white nationalists appeared thrilled at the prospect of Doug Ford becoming Premier of Ontario. One avowed white nationalist even bragged that Ford was directly communicating with white nationalists using a “dog whistle” – ‘dog whistling’ refers to the use of coded language to disguise racist ideas to a general audience while signalling to racists themselves. Anti-Semitism: They claim “the influence of the Jewish elites and the Jewish people at large on western civilization” has been “detrimental” to society. 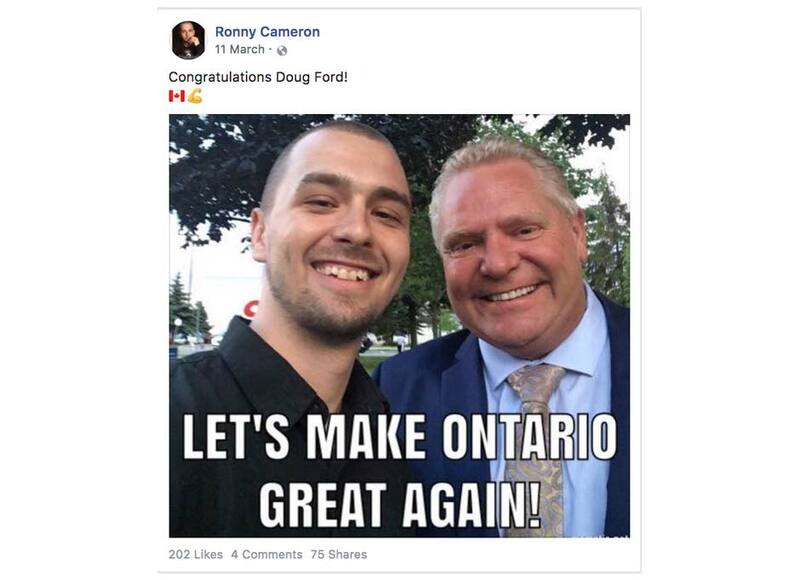 After Ford’s leadership win this spring, the avowed white nationalist congratulated the new Ontario PC leader, sharing a photo of himself smiling next to Ford with his 13,000 Facebook followers. 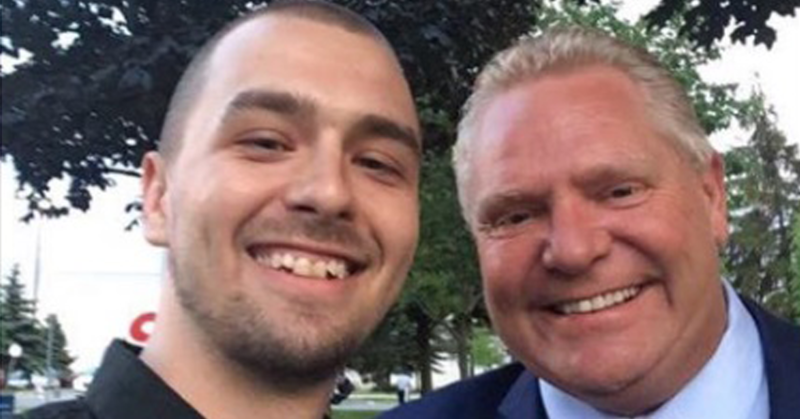 The white nationalist’s praise for Ford is far from the only example of support he’s received from the far-right. 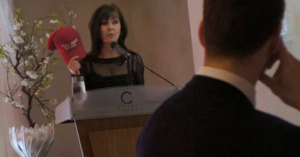 An Ontario PC candidate promoted a controversial alt-right website that has a well-documented history amplifying some of Canada’s most toxic and racist personalities during an event for young conservatives in Hamilton last Christmas.